April 24, 2013 – Seattle, WA – WorkWhileWalking.com launched today as the first website to gather in one place all the information prospective treadmill desk users – as well as existing users – can use to achieve the greatest health benefit and productivity gains from the activity. 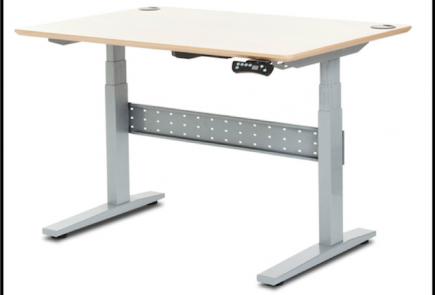 The site is the first to provide professional, unbiased reviews of all the integrated treadmill desks, treadmill bases, standalone height-adjustable desks and various accessories specific to the treadmill desking application. In the works for the past year, WorkWhileWalking.com’s editorial staff has compiled detailed performance analysis of treadmill desks and components from companies including Steelcase, LifeSpan Fitness, Signature, TreadDesk, Exerpeutic, Woodway, GeekDesk, VersaTable, ModTable, and TrekDesk, among others. The staff collated input from hundreds of active treadmill desk users in creating a complete picture of each product’s effectiveness and bottom-line value. WorkWhileWalking’s editorial staff includes technology and medical experts as well as veteran treadmill industry engineers. Individuals who want to keep tabs on the booming trend of trading desk-sitting for desk-walking may register for a free membership and receive monthly newsletters with industry news, new product evaluations, tips on how to get the most out of their treadmill desks while avoiding injury from overuse or improper ergonomics, best of the Blog, and much more.